Testicular cancer is a disease in which the cells become cancerous in one or both the testicles. Testicular cancer is a common form of cancer seen often in men between ages 20-39 years of age. This cancer is highly treatable. Depending on the stage and type of testicular cancer, one may receive one or numerous treatments or a combination. 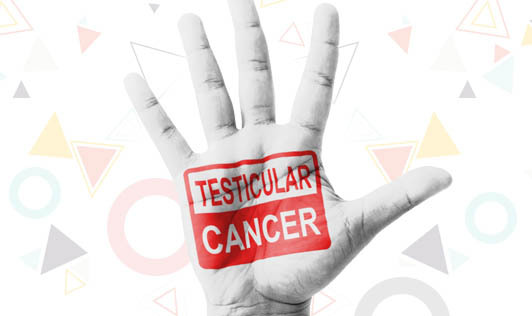 The cause of Testicular cancer is unclear and doctors say that it occurs when healthy cells in a testicle become altered. Healthy cells grow and divide in an orderly way to keep the body functioning normally. But in some cases, the cells develop abnormalities making growth uncontrollable. These cancer cells continue dividing even when new cells are not needed, and the accumulating cells form a mass in the testicle. Contact your doctor immediately if you detect any pain, swelling or lumps in your testicles or groin area and if these symptoms last for more than two weeks.